Xiaomi has today finally launched its next giant screen smartphone - Mi Max 3. The Xiaomi Mi Max 3 comes in two variants - 4GB RAM with 64GB internal storage and 6GB RAM with 128GB storage priced at 1699 Yuan which is approx. Rs 17,320 and 1999 Yuan which is approx. Rs 20,370 respectively. It comes in Meteorite Black, Dream Gold and Dark Blue colour options. 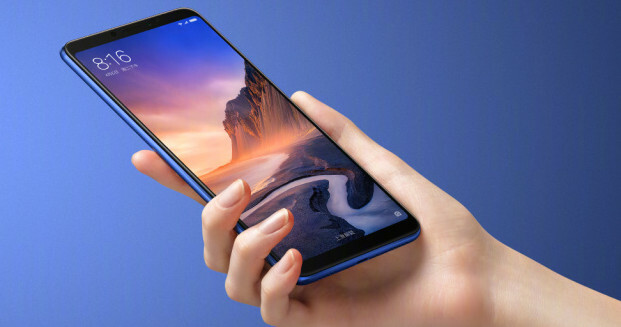 Mi Max 3 features a massive screen size of 6.9 inches with Full HD+ 18:9 IPS 2.5D curved glass display. It is powered by 1.8GHz Octa-Core Snapdragon 636 processor with Adreno 509 GPU backed up be 4GB/6GB RAM and 64GB/128GB storage with 128GB expandable memory. Mi Max 3 features a dual camera setup with 12-megapixel with Sony IMX363 sensor, 1.4µm pixel size, f/1.9 aperture, Dual PD focus, LED flash and 5-megapixel sensors. For the front, it features an 8-megapixel camera for selfies with a soft LED flash, 1.12μm pixel size, f/2.0 aperture. It also features AI features such as AI facial recognition, bokeh effect, 206 scenes, face unlock and voice assistant. The Mi Max 3 runs on Android 8.1 Oreo, which is based on the company's MIUI. On the connectivity front, the device support 4G VoLTE, dual-band Wi-Fi 802.11ac, GPS/ A-GPS, Bluetooth 5, headphone jack, and USB Type-C port. It measures 176.15 x 87.4 x 7.99mm and weighs 211 grammes. Xiaomi Mi Max 3 retail box shared by CEO, launch imminent?